Often, teachers seek extra support and help in recognizing the characteristics of deafness in their students in order to better address the specific needs of the child. This usually happens due to certain cues that the teacher is able to pick up about the student's language development in class or after a known hearing impaired child continues to struggle in their classroom. 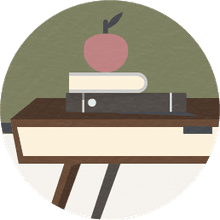 A student or child with deafness or hard-of-hearing disabilities has deficits in language and speech development due to a diminished or lack of auditory response to sound. Students will demonstrate varying degrees of hearing loss which often results in difficulty acquiring spoken language. When you have a child with hearing loss/deafness in your classroom, you need to be careful not to assume that this student has other developmental or intellectual, delays. Typically, many of these students have average or better than average intelligence. What Can You Do to Help Students With Hearing Loss? Language will be the priority area for students who are deaf or hard of hearing. It is the basic requirement for success in all subject areas and will influence the student’s comprehension in your classroom. Language development and its impact on the learning of students who are deaf or hard of hearing can be complex and difficult to attain. Many students with hearing disabilities will have some form of specialized equipment recommended by an audiologist. Help the child to feel comfortable with his/her hearing device and promote understanding and acceptance with other children in the class. Remember that devices do not return the child's hearing to normal. Noisy environments will cause grief to the child with a hearing device and noise around the child should be kept to a minimum. Check the device often to ensure it is working. When using videos, make sure you use the 'closed captioning' feature. Shut classroom doors/windows to help eliminate noise. Use visual approaches whenever possible. Establish predictable routines for this child. Provide older students with visual outlines/graphic organizers and clarification. Use a home/school communication book. Enunciate words clearly using lip movement to assist the child to lip read. Keep close proximity to the student. Provide small group work when possible. Make assessment accommodations to enable a clear picture of demonstrated academic growth. Provide visual materials and demos whenever possible. 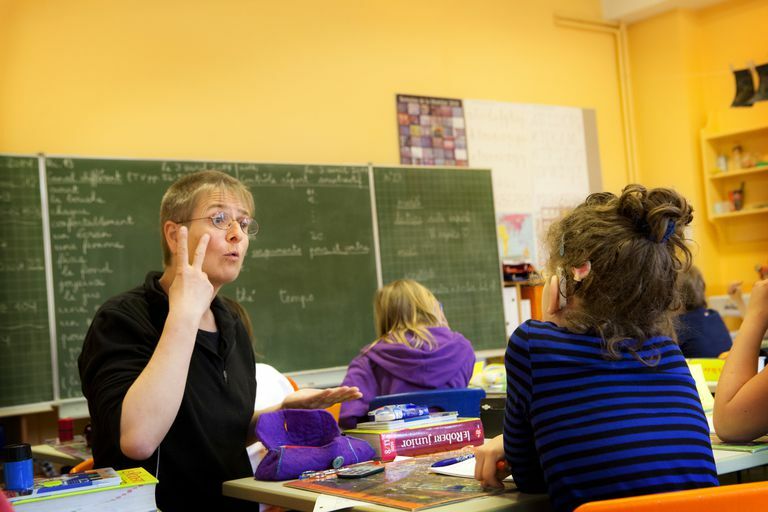 How Can Teachers Support Hearing-Impaired Students in Classrooms?